Apple supplier Taiwan Semiconductor Manufacturing Company (TSMC) has reportedly provided the first batch of Touch ID fingerprint sensors to be used in the iPhone 6, iPad Air 2 and iPad Mini 3, according to a new report from component information website cecb2b.com citing supply chain sources (Google Translate, via GforGames). In addition to production at TSMC, the report notes that the fingerprint sensors are being assembled by TSMC subsidiaries Xintec and Suzhou Crystal Semiconductor. A report in January noted that TSMC would begin production on the sensors sometime in the second quarter of this year with a new 12-inch fab processing method, however a report in February stated that TSMC would be using the same 8-inch fingerprint sensor processing method that was used for the iPhone 5s. The inclusion of Touch ID on the next-generation iPad Air and Retina iPad Mini would also fall in line with predictions from KGI Securities analyst Ming-Chi Kuo, who noted that both devices would gain the feature alongside processor upgrades and various other improvements. Apple's head start on Touch ID fingerprint sensor production will likely help the launch supplies of all three devices. The component was said to be a key factor contributing to the limited supplies of the iPhone 5s at its launch last September, with low yield rates at Xintec and iOS 7-sensor integration slowing production. I'm still not seeing the value of a fingerprint sensor on an iPad. 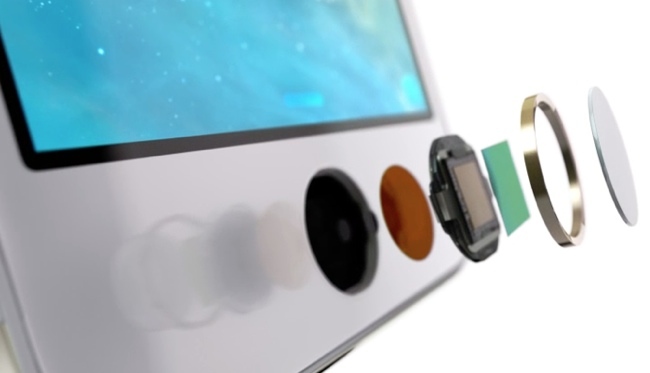 I´m seeing lots of value in a fast reliable fingerprint sensor in iMacs, Macbooks, iPads, iPhones and iPods. I don't get all these sites claiming this Ming-Chi Kuo is "very reliable". He makes the most obvious predictions, what do you expect? "All iPads and iPhones from now on will have Touch ID". You don't say? Edit: He also said that the 5.5" 64GB variant is the only one that will have a sapphire display. Well, I predict that a) There won't be a 5.5" variant; b) Apple won't include a sapphire display on a specific variant while leaving the other models with "regular" glass, making the whole iPhone line fragmented. Let's see which one of us gets this right. Multiplie user logins in iOS 8 would be a good starting point. Perhaps I'm the minority and my faith is misplaced, but I use the iCloud Keychain extensively on my iPad. Which means Touch ID is essential for me. Yes, I could still use Keychain without a passcode, but I'm not taking any chances. Erm, okay. Why not? I use it all the time, works great.